Annual Trash (Refusal) Pickup will occur on the north side May 13, and the south side on May 14th. Items to be picked up must be in neat piles. The following items will NOT be accepted. Charlevoix Township provides annual leaf cleanup to it’s residents in the fall. Leaves must be in piles. 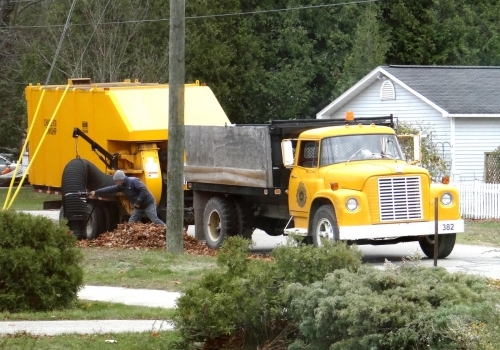 If there are twigs, branches, rocks or other debris mixed in with the leaves, they will not be picked up. Branch chipping will occur on the week of May 20th. Branches should not be more than six inches in diameter and piled in a neat order. If anything presents a safety hazard to the chippers, it will be left behind. Their safety is our main concern.